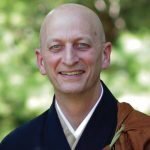 In this talk, Shugen Roshi uses Yunmen’s pithy teaching on medicine and sickness as a way of looking at the profound and challenging truths of non-attachment and non-duality. Although we may have many ideas about what these words mean, it is only through direct study and practice that we can really understand and embody them. This is the path to genuine compassion and relaxed freedom.